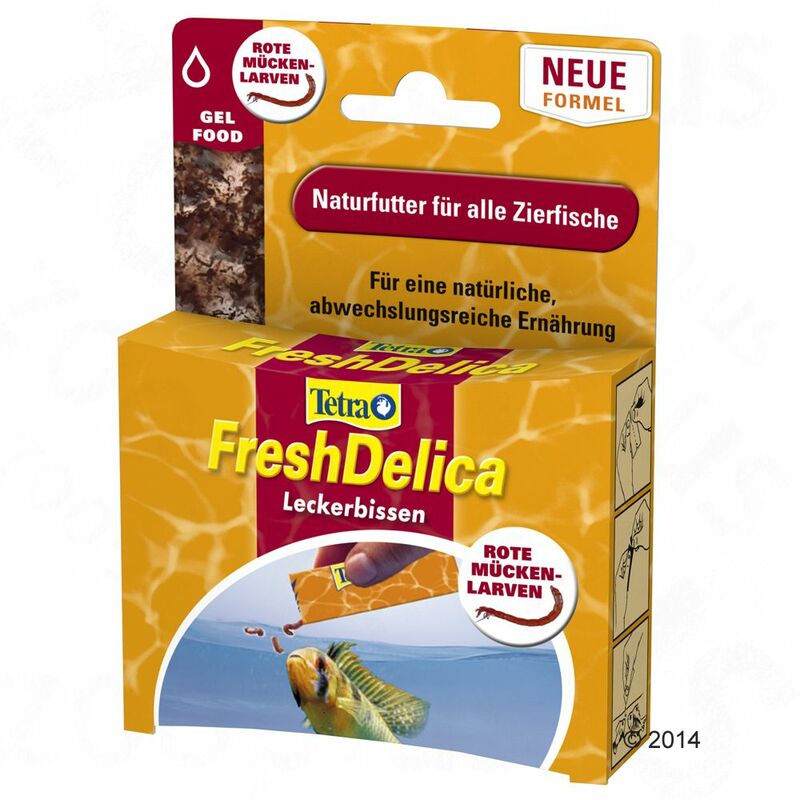 FreshDelica from Tetra is a complementary feed with twice the nutritional value of frozen food. The food is enriched with all the eΒential vitamins, trace elements, proteins and fats. FreshDelica The Tetra FreshDelica Jelly are a practical, healthy, safe alternative to frozen food. Tetra FreshDelica Jelly at a glance: Natural snacks for all ornamental fish Jelly food rich in vitamins and nutrients Maximum acceptance due to natural flavour Nutritional value is up to twice that of frozen food No added preservatives Packed into sterile and germ-free portions Individual portioning allows targeted feeding for healthy feeding and interaction with the fish Keeps for 3 years without refrigeration. Price just £8.49! Click here to buy now!